Beatrice’s property is alive with active children playing in her millet and maize gardens. The home, full of family, seemed to burst at the seams with joy. Kigoodo Village, in the rural district of Kaliro, Uganda, has a population on 650 people. Today, the village has two wells, just steps from Beatrice’s home. Of the 74 households in the community, 62 of them are registered Lifewater “Healthy Homes,” meaning they practice five habits for improved health and wellbeing. See photos of healthy homes in Kaliro, Uganda on our interactive maps. It wasn’t always this way. Beatrice recalled standing at the front lines of community gatherings, 50 years ago, with her fellow mothers. Their demand? A solution to the dirty water and declining health of their children. She smiled as she remembered this, her eyes widening and her hands making fists in the air, mimicking the way she might have looked demanding safe water when she was a young mom. Beatrice smiles next to one of her village’s wells. Of Beatrice’s 15 children, only six have survived into adulthood. She believes that at least three passed due to waterborne illness. Now 77 years of age, she raises her grandchildren. They are happy, healthy, but still, Beatrice aches for her children. The pain of losing one child after another motivated her to fight for clean water and health in the 1960s. Despite Beatrice’s advocacy efforts, she saw no significant changes for most of her life. 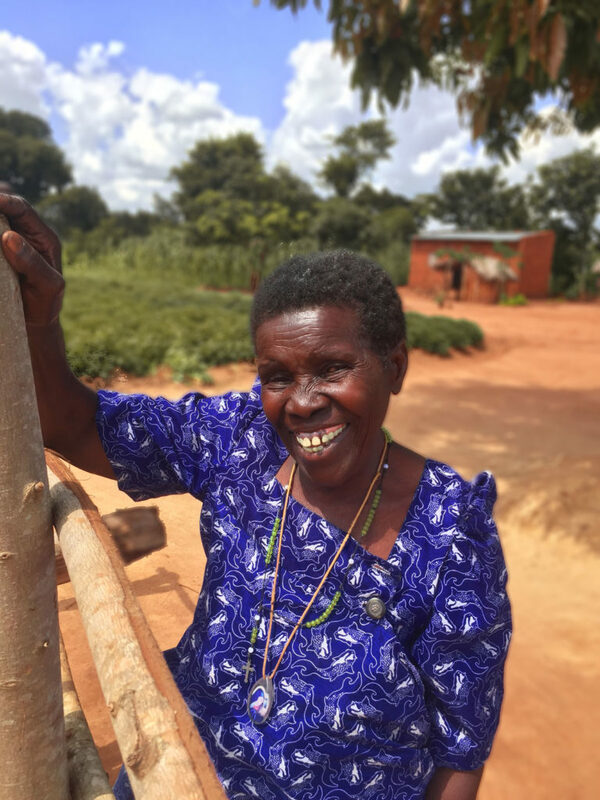 She continued advocating for water, but Kigoodo village was living in extreme poverty, and they simply lacked the resources to make it happen. That all changed in 2016 when the village partnered with Lifewater to bring clean water and renewed hope to the community. 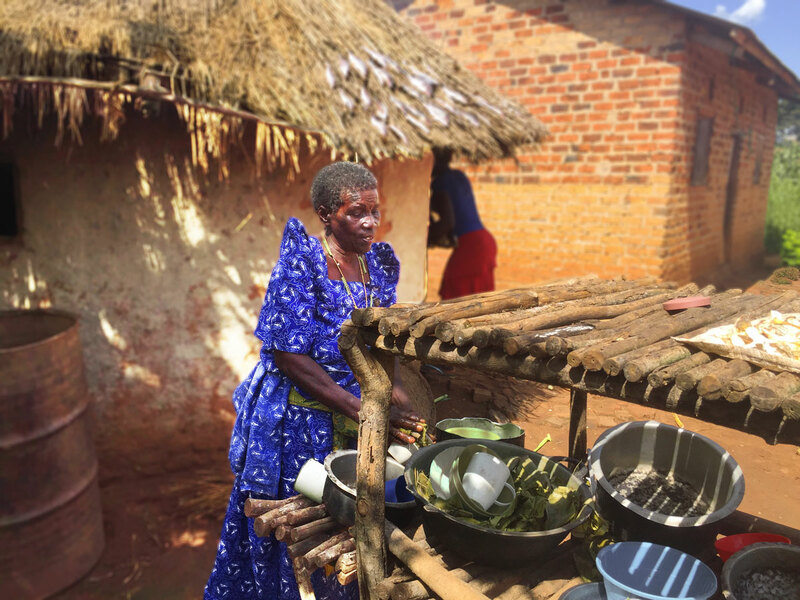 Beatrice dries her dishes on a drying rack, one of the five practices of a Healthy Home. Today, Beatrice’s grandchildren run, play, go to school, and sickness is minimal. Instead of walking for hours to collect unsafe water, women and children gather fresh, clean water from the village wells. The community has been transformed. “There are more children going to school now, and they won’t suffer like we did,” she said. The water source in Kigooda village has the capacity to serve the community with safe water and help them focus on the things that matter most. 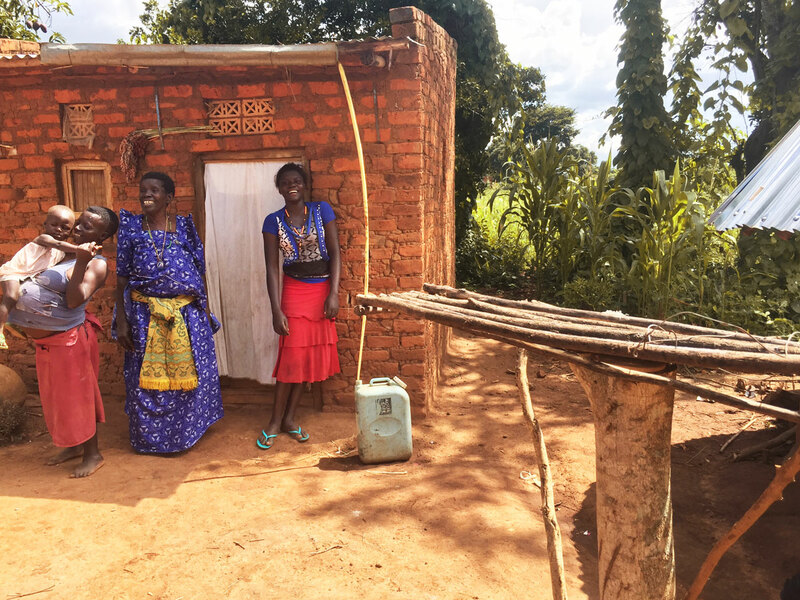 Beatrice’s family stands happily in front of their home. “The most important change though is the love for one another,” she said. “It has come about through the unity we have fostered by sitting down for discussion about solutions and prayers we have together before each meeting,” Beatrice said. Beatrice’s family and her village were ready for clean water. They were willing to make the health changes necessary and eager to contribute to their futures in whatever way they were able. Communities like Kigooda exist all over the developing world, ready for safe water, and ready to see their children live healthy lives. Read about Nairuba’s answered prayer for clean water. Learn how you can be a part of the change by giving to a village like Kigooda today.